Pain can take the joy from the simple things in life. 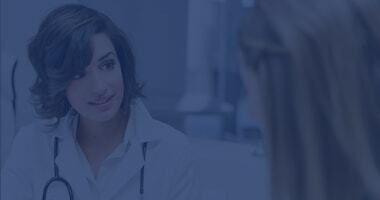 At Tennessee Valley Pain Consultants we understand each patient experiences pain differently. That’s why our experts in Huntsville develop customized pain management treatment plans for exactly where you hurt. Our double-board certified physicians work closely with our highly-trained clinicians through diagnosis and treatment providing the highest level of individualized care all from our office in Huntsville, AL. Tennessee Valley Pain Consultants provides the most advanced minimally invasive treatments using precision x-ray guided therapies and medication management that are more convenient and less invasive. Our practice treats a variety of conditions with a focus on cervical, thoracic and lumbar spine conditions, complex nerve and muscle pain, knee and hip pain, pre- and post-surgical pain – as well as nerve pain associated with shingles, diabetes and cancer. Tennessee Valley Pain utilizes the leading-edge technology of Huntsville Hospital Center for Pain Management. Patients can benefit from physical therapy, a clinical support team and in-office procedure and recovery suites. With more than 80 years combined experience, the physicians at Tennessee Valley Pain Consultants are the regions’ leader in nonsurgical pain relief services. More patients and physicians choose Tennessee Valley Pain for relief than any other center in North Alabama. A customized treatment plan is developed to meet each patient’s individual needs. At Tennessee Valley Pain Consultants, we understand that each patient experiences pain differently. Our practice has a full-time, on staff clinical counselor to provide support for patients’ needs. For more information, please contact the office at (256) 265-7246. The physicians at Tennessee Valley Pain Consultants are dedicated to the advancement of pain management treatments. Our practice actively participates in multiple research protocols in progressive nonsurgical pain relief through interventional procedures, implant technologies and medication therapy.